Stating the obvious of course, but oh my goodness it's been cold out there! I always seem to plan ahead for protecting my skin during winter - switching up to heavier moisturisers, lip balms and all the products formulated for drier skin - but I can tend to forget about my hair. I think we're all aware that sun can damage the hair, but did you know that cold weather can too? Firstly hair can really dry out - for me it's my ends, as I have naturally oily roots but very dry ends at the best of times. The drying effects are caused by there being less moisture in the air when the temperatures drop. Also due to the lack of moisture, hair is likely to become more brittle in the colder months, and this can lead to breakage and split ends - definitely not hair goals. The best thing I've found to do to combat the effects of the cold weather on my hair is up the heat protection, cut back on how often I reach for the straighteners, and switch my shampoo and conditioner to something specifically targeted to counteract the damaging effects of winter on the hair. 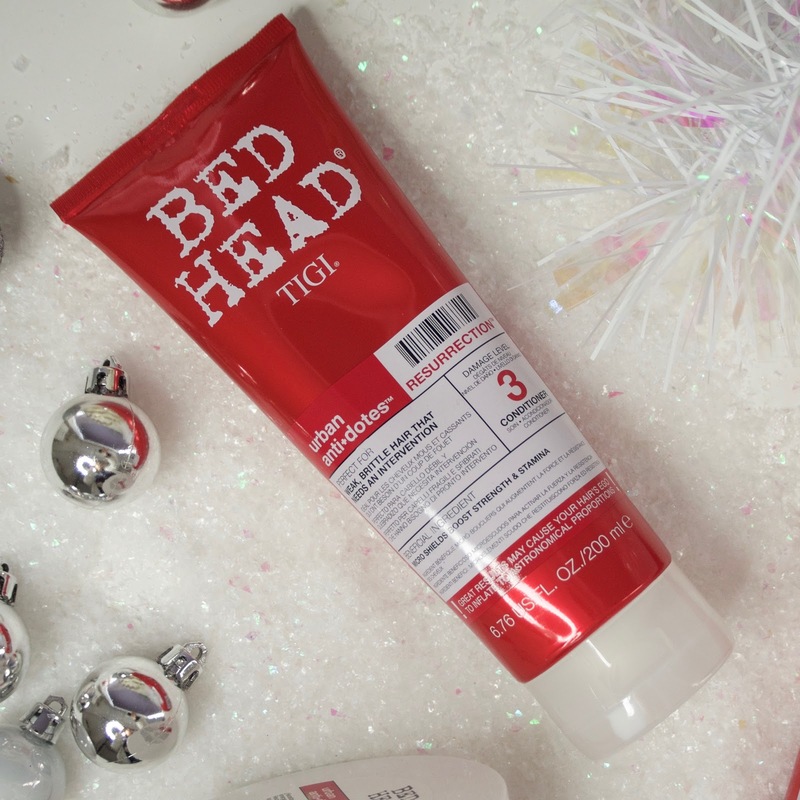 This year I've gone for the shampoo, conditioner and mask from TIGI's Urban Anti-dotes Resurrection range which is formulated to nourish dry and damaged hair and bring it back to life. Now that I have mid-length hair, I find split ends to be more obvious than when my hair was really long - and it's not as easy to just chop a bit off when you don't have so much hair to play with! So firstly the shampoo - it smells gorgeous - every TIGI product I've ever tried has literally had the most gorgeous scent - it's kind of like strawberries! I'm always nervous trying a new shampoo because of my oily roots, and with this being a shampoo that says it will intensely moisturise I was a little bit apprehensive the first time I tried it, but it doesn't aggravate my grease-prone scalp at all. The shampoo leaves my hair feeling clean and soft and smelling sweet, and it seems shinier than usual too. I've also been using the Resurrection conditioner after every wash. It has the same lovely scent, and is a nice thick consistency. I only use it on the ends of my hair, and found it did the job well. It left my hair easy to deal with and tangle-free, but I can't say I noticed it doing any more moisturising than my regular conditioner, and didn't really see any improvement in my ends, to begin with... but when I added the Resurrection mask to the routine, it was game time! The TIGI Urban Anti-dotes Resurrection Mask is my favourite product from the range and the one I'd most recommend you to try. I started off using this weekly, and as I mentioned, I didn't notice much of a difference in my hair using the daily conditioner, but after treating my hair to some time with this mask, it was noticeably softer and smoother both visually and to the touch. I've been using this weekly, and sometimes twice weekly if I have the time, and it's left my ends looking really quite healthy - I'm pleased because I didn't want to have another cut just yet! 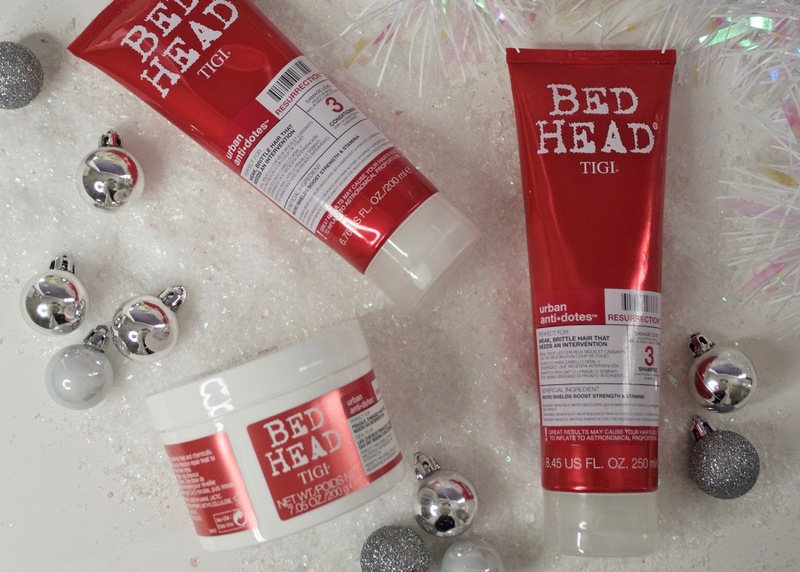 The TIGI Bed Head Urban Anti-dotes Resurrection range is available now at Feelunique, LookFantastic and Escentual.